Escargot Bourgignonne | What's Cooking at the Genua's? Cruises are a wonderful thing. In the last 19 years I’ve been on 14, so far. Most of them on Carnival Cruise Lines. John and I take cruise vacations over all others for the most part. Sure we go up to my family’s summer place in Maine but that’s different. Cruises are wonderful. You get treated like royalty. No making your beds or cleaning your room! It’s wonderful. Someone cooks for you 24/7 and cleans up! Gotta love that! But one of the best things about cruising is that you get to try all kinds of food that you would normally not have. Escargot for instance. I had them on my very first cruise and I’ve been hooked ever since! I don’t care that they are really fancy slugs. It’s my way of payback for all damage slugs have done to my gardens over the years! Anyway, I’ve had them in many different styles. This version is pretty popular. On the cruise ships you get them this way or even covered in cheese! Cheese, garlic, wine, oil…All very tasty! 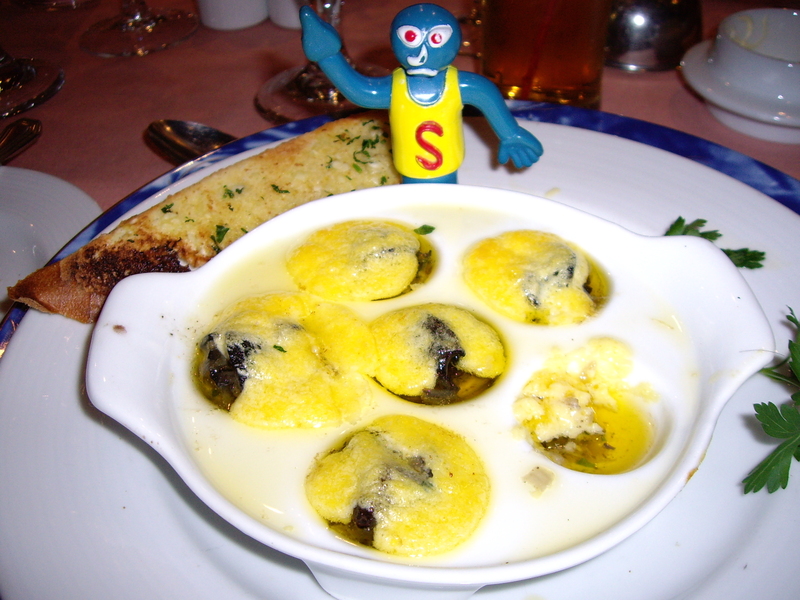 Every cruise we take we always look forward to the night we get to eat snails! I would eat them more if they served them more. This recipe is actually from Carnival Cruise Lines. I bought their cookbook on my 2nd cruise, which was actually my first Carnival Cruise. I’ve been on Carnival eight times now. Two more and I become a VIP! Woo hoo! The last cruise was in December 2009 and we went to the Panama Canal. Incredible! But I digress…Escargot! This recipe isn’t very hard and you can get cans of the little buggers in pretty much every supermarket. They are in the tuna aisle. 1. In a large frying pan, melt butter over high heat; stir in garlic and onion. Cook until tender but not brown. 2. 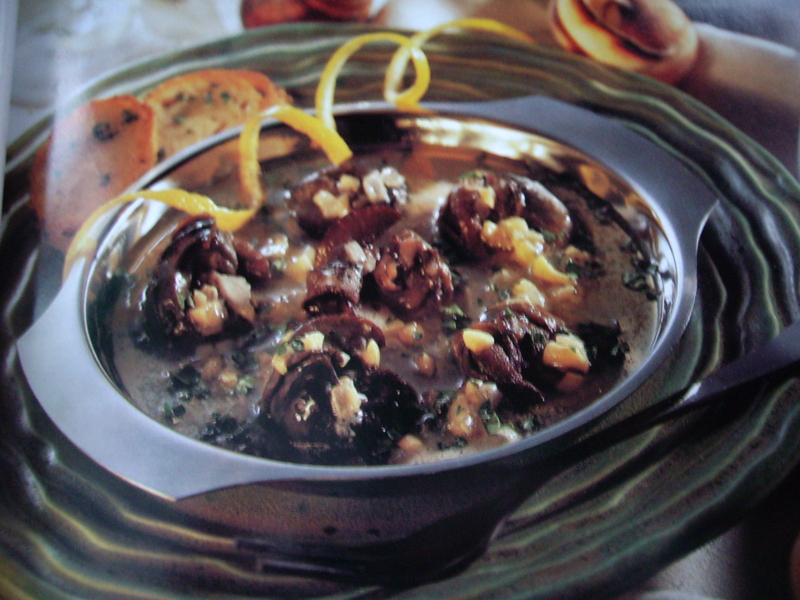 Stir in wine, liqueur, nutmeg and escargot; season to taste with salt and pepper. 3. Reduce heat to low; simmer 10-15 minutes or until flavors are blended. Sprinkle with parsley.